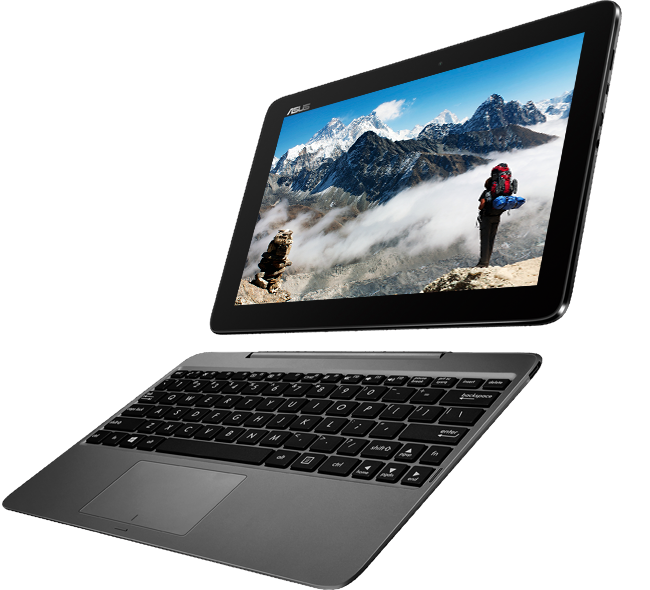 Model: The Asus Transformer Book T100HA is a 2-in-1 convertible, providing both tablet and laptop experience in a single device. Similar to its earlier T100 Chi sibling, this model comes with an easy coupling mechanism for detaching the screen from the keyboard. Weighing at just 0.58 kg for the tablet alone and an additional 0.46 kg for the bundled keyboard, this model is very portable and it is definitely suitable to be brought around on a day-to-day basis. In addition, this model brings plenty of upgrades compared to the T100 Chi predecessor, making it a reasonable purchase especially with its lower price point. It comes with the latest Windows OS, Windows 10 Home pre-installed. With an increase in RAM size from 2 GB to 4 GB, users will find it effortless to multitask and run several programs at the same time. The Intel Atom X5 Cherry Trail quad core processor promises a performance gain of 20 percent and battery life of up to 12 hours. Despite its lower resolution of 1280x800 pixels, the Transformer Book T100HA provides wide viewing angles and vivid colors with its 10.1 inch IPS screen. As a tablet, it has a decent 5 MP rear camera and a 2 MP front camera, which can be utilized for laptop video calls as well. Moreover, this model supports a fast-charge technology, which can reach up to 80 percent of the capacity in two hours, a reversible USB Type-C port for convenient connectivity and 64 GB of internal storage. Z8500: Soc with an integrated quad core Atom processor clocked at 1.44 - 2.24 GHz, an Intel HD Graphics GPU and a dual channel LPDDR3-1600 memory controller.» Further information can be found in our Comparison of Mobile Processsors.